Dry Energy Socks are perfect for Diabetics, Raynaud’s, those who suffering from circulatory issues or anyone who prefers a soft, cozy, super comfortable non-binding sock. These medium crew socks increase oxygen levels in feet, reduce pain, balance body temperature, promote comfort and wellness. Find their unique relaxation with soft-top for men and women; natural bottom. 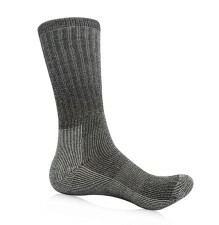 Superior socks with Dry Energy Technology are an advanced care for foot problem. They are focused to naturally reduce the pain by enhancing oxygen levels in the body which promote muscle recovery, comfort and pain relief. Dry Energy Socks are our new Infrared Therapy Socks recommended for anyone is suffering from circulatory issues or pain and swelling associated with an injury or other condition. 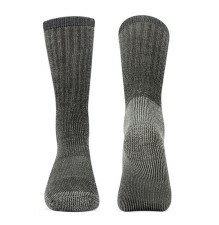 The purpose of these socks is to keep the feet warm and dry, and deliver the benefits of infrared technology. Natural infrared light keeps muscles, joints, tendons and ligaments supple and relaxed. Please use the chart below to determine your sock size. Your sock size corresponds to your shoe size. Dry Energy Socks by Veturo are made from a high content of minerals known as Celliant® for superior temperature optimization. Additional performance fibers are added for moisture management, softness, shape retention, control foot odor and bacteria. Veturo Therapy Dry Energy Socks with Celliant® and Dri-Release® are designed for comfort, performance, and recovery. Made in the USA.